Dr Dickson was appointed to the position of President and Principal Executive Officer at Asia Pacific International College in February 2018. Dr Dickson commenced his professional career as a physical education teacher, then further education led him to an academic role at the University of New England in Armidale (1991-2004) where he completed his PhD in the development and assessment of occupational competencies and used elite soccer referees as a case study. 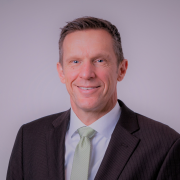 Dr Dickson assumed the role of Dean at the Australian College of Physical Education in 2004 where he facilitated an expansion of their program offerings, diversifying delivery methods and improved the quality of the institution through numerous academic initiatives. In 2012 Dr Dickson was appointed as Dean at The Australian College of Applied Psychology (ACAP) and was responsible for leading multiple business units that comprised of Navitas Professional Institutes such as ACAP, the Navitas College of Public Safety and Health Skills Australia. During his tenure at Navitas, Dr Dickson led a series of successful course accreditation and registration processes culminating in NPI being awarded self-accrediting authority in March 2017. During his academic career, he has led research projects for many national sporting organisations and departments of education; served on numerous national and state-based committees, and most recently served on a Federal Government’s QILT committee charged with overseeing the introduction of quality indicators in high education. Beyond his work, Scott is an avid sportsman. Whilst having been active in soccer and cricket for many years, he now is a keen cyclist. He regularly commutes to work by bike and regularly participates in annual Gran Fondos such as L’Étape du Tour in the Snowy Mountains and the Bupa Challenge in Adelaide.